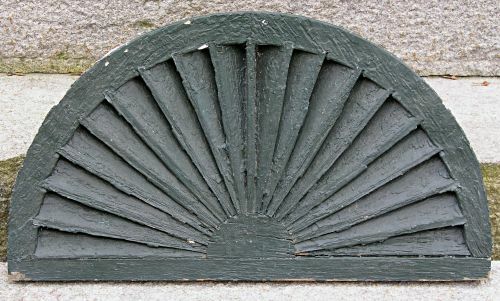 Pine architectural half round fan louver in Windsor green paint. Nice small size with many layers of old paint the last being a Windsor green. Nice condition with no breaks. Dimensions: Measures 27" wide by 15" tall.